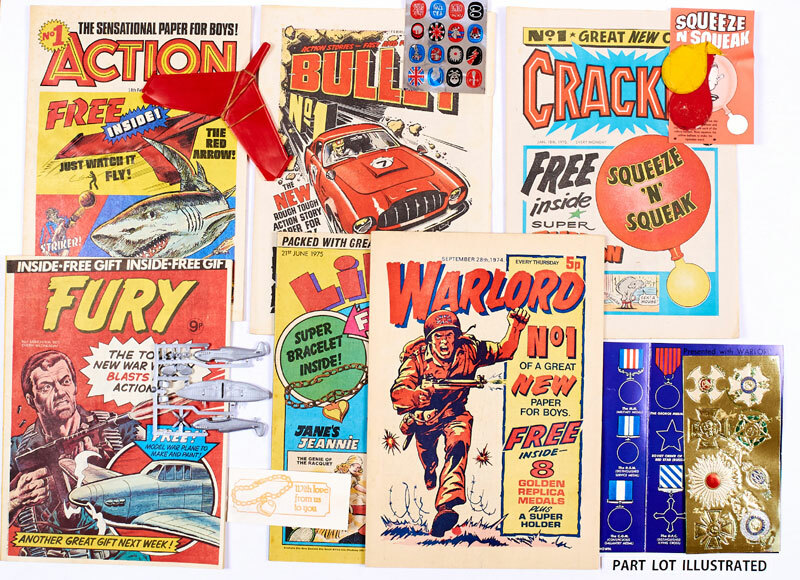 The Bob Monkhouse Archive featuring his collection of original artwork produced some record-breaking results. The combination of fresh-to-market high quality boards and Uncle Bob’s unrivalled provenance started with this piece from 1900. 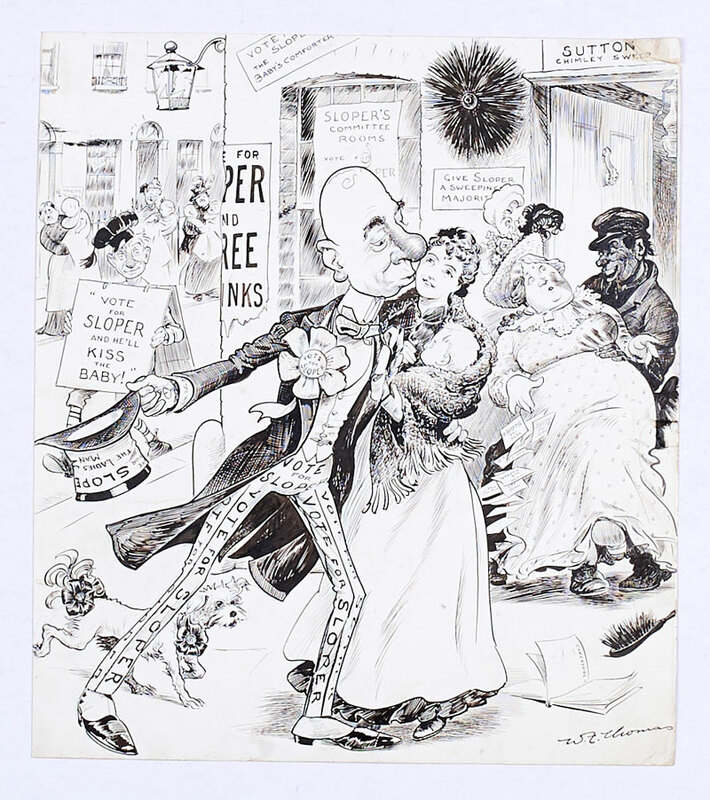 An Ally Sloper artwork by W F Thomas from yesteryear looking like it was drawn yesterday its ‘Vote For Sloper’ cover strongly endorsed at £720. 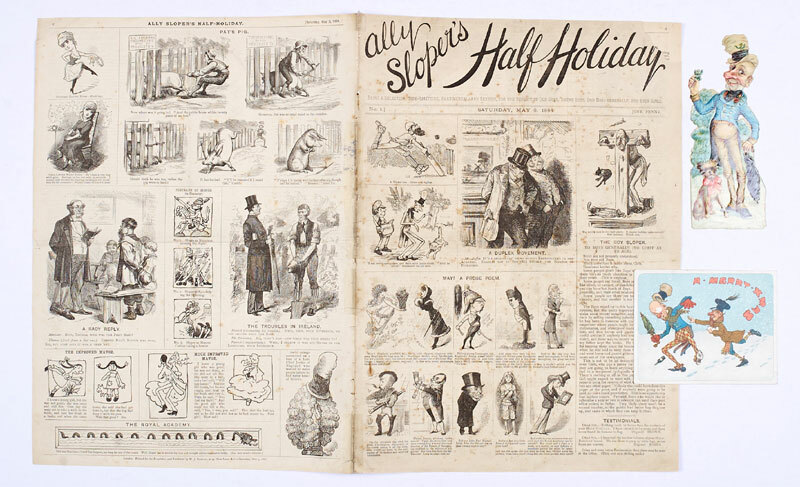 Also from the Archive was the first issue of Ally Sloper’s Half-Holiday with a contemporary Christmas card and embossed Sloper image. £360 was good Half-Holiday money. Terry Wakefield illustrated Terry-Thomas in Film Fun during the 1950s and his adventures in S America and the USA left him in a proper state. Not so the £270 winning bidder. 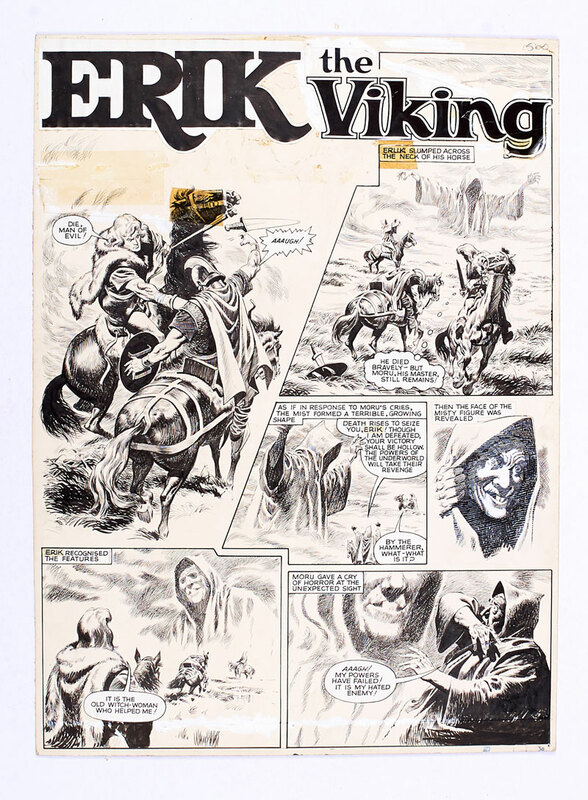 Originally entitled Karl The Viking for Lion comic in the 1960s, the Norseman underwent an identity crisis in 1969 and became Erik for Smash comic as publisher’s IPC attempted to refresh his image. The one thing that needed no refreshment whatsoever was artist, Don Lawrence’s superb character rendition, solidly collectable today at £400. 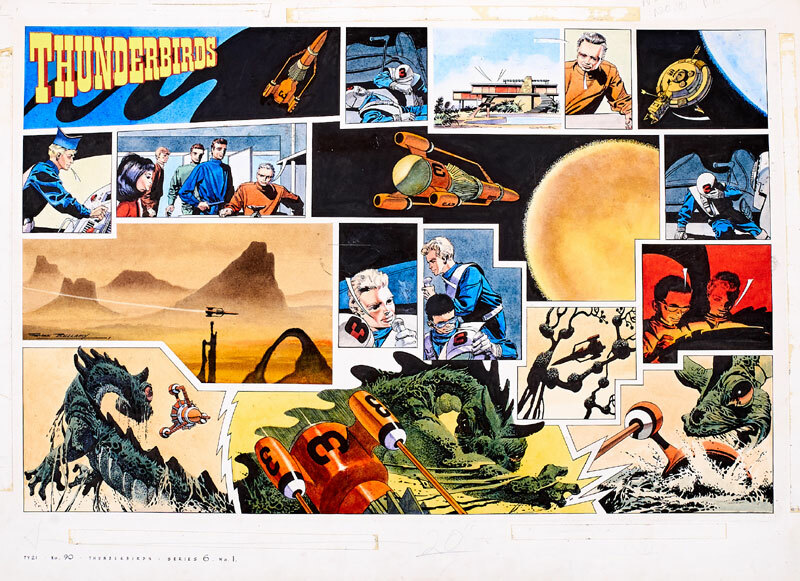 Frank Bellamy’s magnificent double page artwork for TV Century 21 broke the record for any Thunderbirds piece at auction with £4550. Breathtaking. 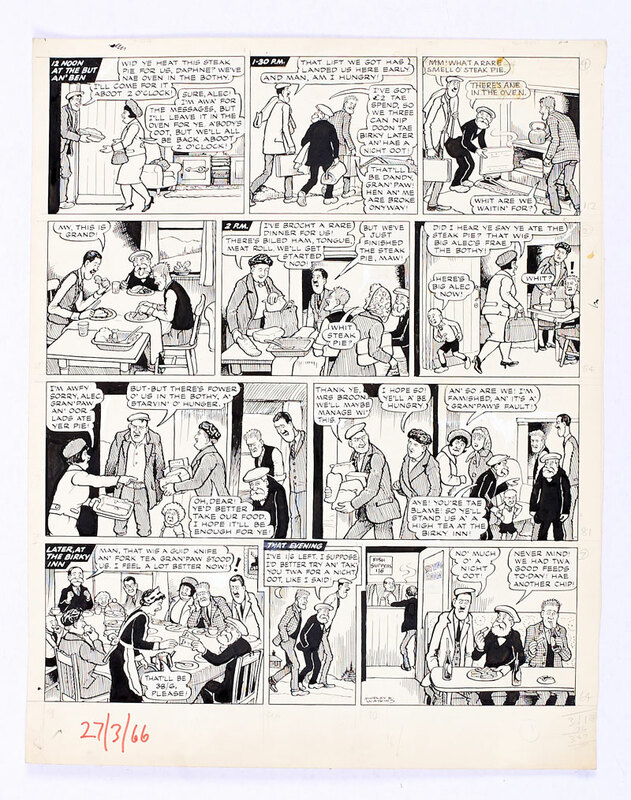 Three consecutive strips of Garth for the Daily Mirror were all signed by Bellamy as the strong man strong-armed £1200. 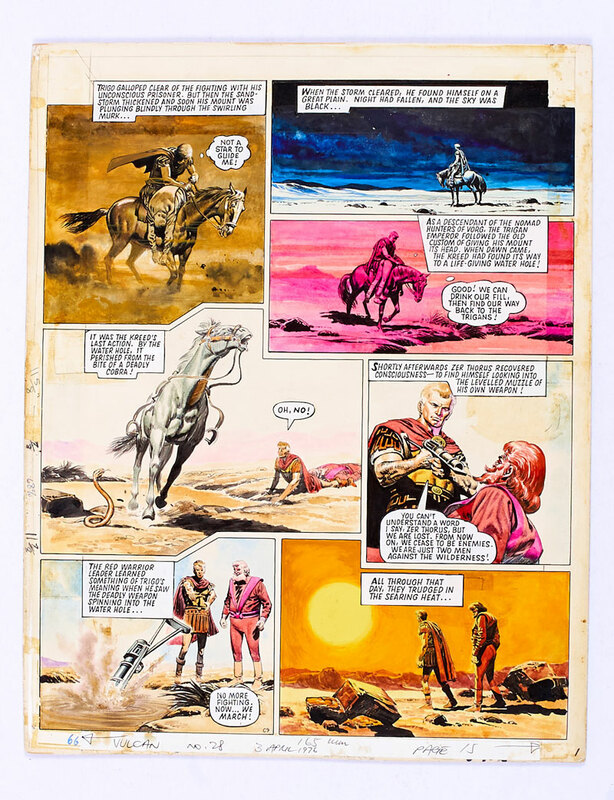 The Trigan Empire adventure series was one of the main reasons for the popularity of Look and Learn in the early Seventies. Another was the fact that it was drawn by legendary artist, Don Lawrence. £420 charted the Empire’s rise. This concluded the first selection of Bob Monkhouse’s wonderful archive. We hope to offer some more pieces in 2019. 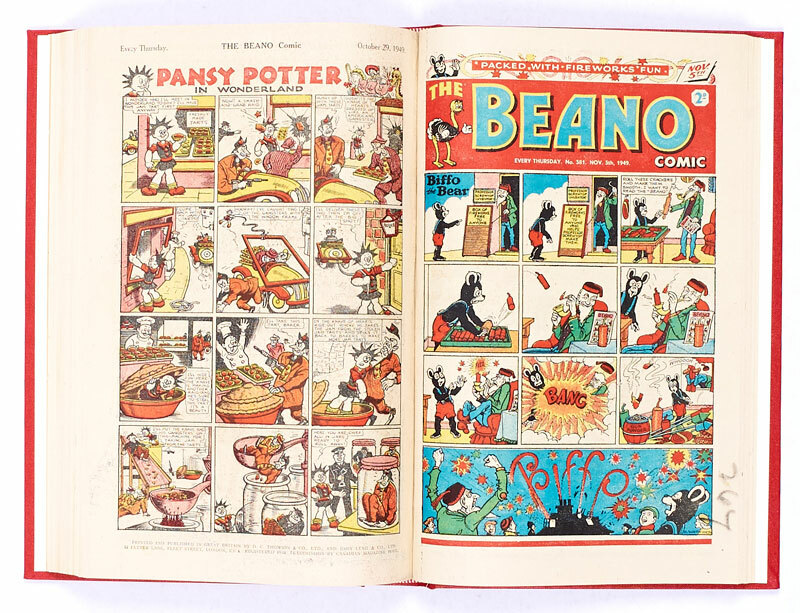 The complete year of The Beano for 1939 heralded the first Jack Flash by Dudley Watkins, the first Pansy Potter in Wonderland by Jimmy Clark and the first Horse that Jack Built by Bill Holdroyd. £1520 was first past the post. 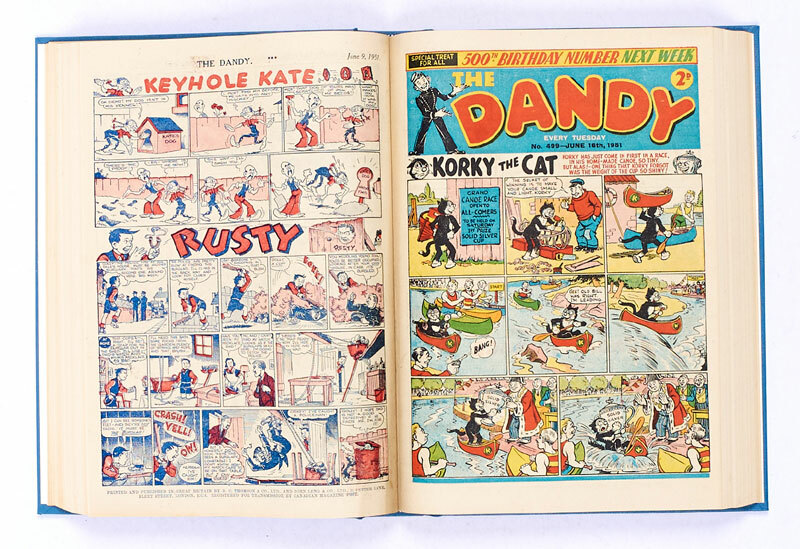 This bound volume of The Dandy from 1948 also contained several first appearances, notably Raggy Muffin the Dandy Dog by Jimmy Chrichton and The Slave of the Magic Lamp by Fred Sturrock, which magicked a six fold upper estimate £2550. 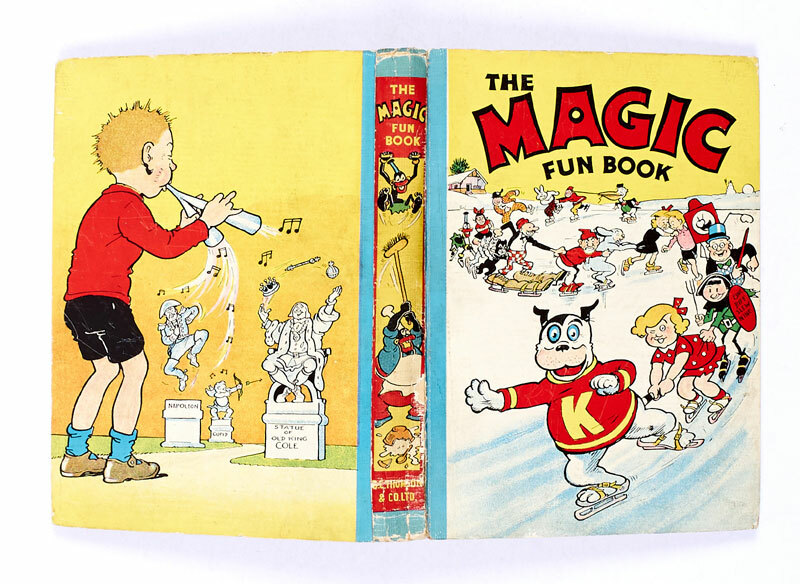 A fresh copy of the first Magic-Fun Book from 1941 found £660. 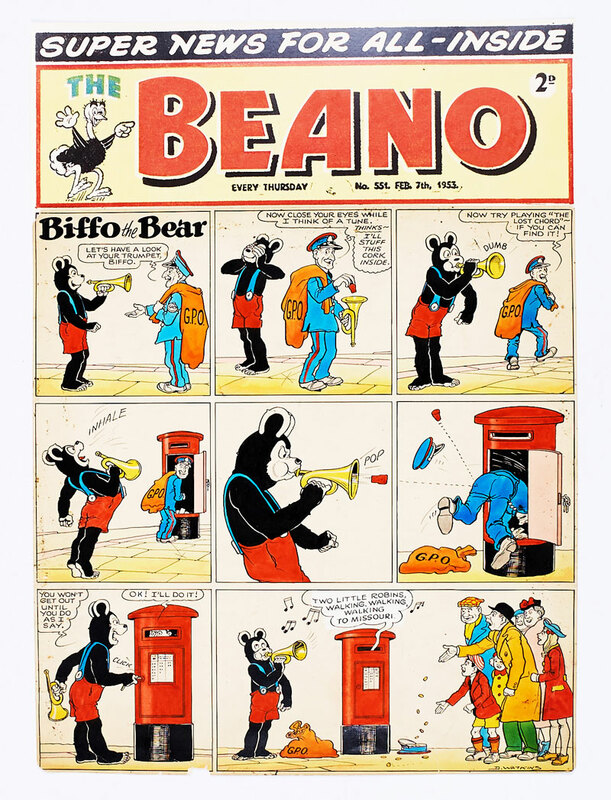 Dudley Watkins Biffo the Bear cover for the Beano in 1953 just reached its estimate of £1540. 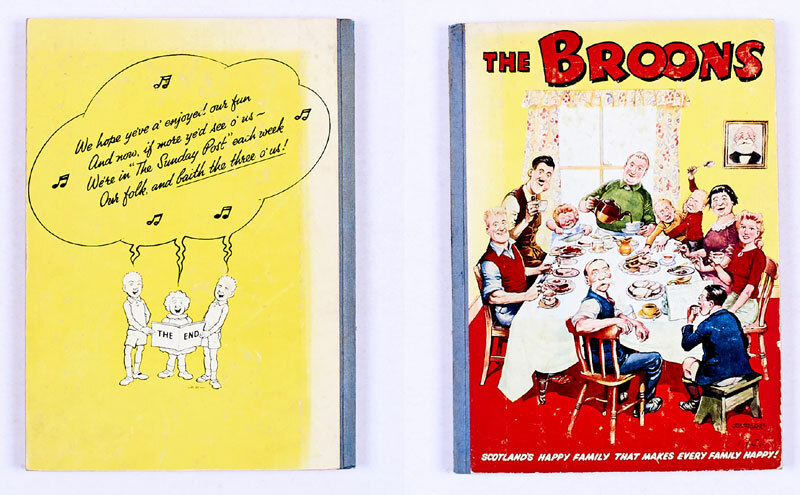 Here was editor, R D Low’s personal copy of the 1952 Broons Book. 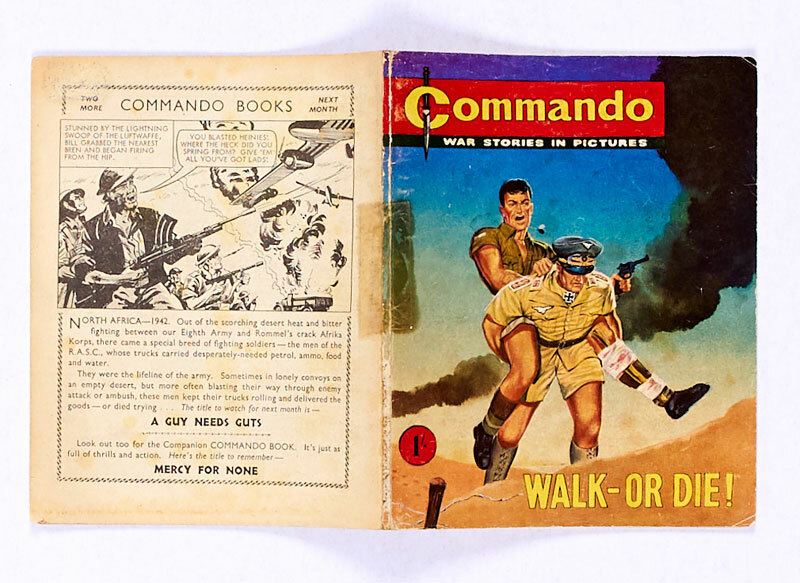 Only a few of these special hardback copies were produced for DC Thomson internal use and were not distributed. Tea time at Glebe Street was bolstered by £450. This Dandy bound volume for 1951 included its 500th birthday number. 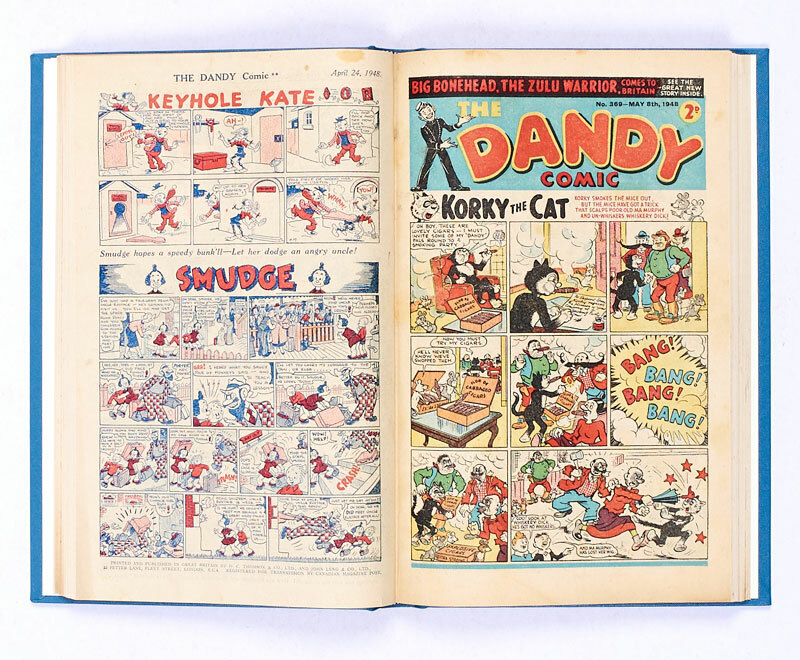 The comics were in the superlative grades of [vfn/nm] and subsequently taken to a new record of £4100, just under £80 a copy. 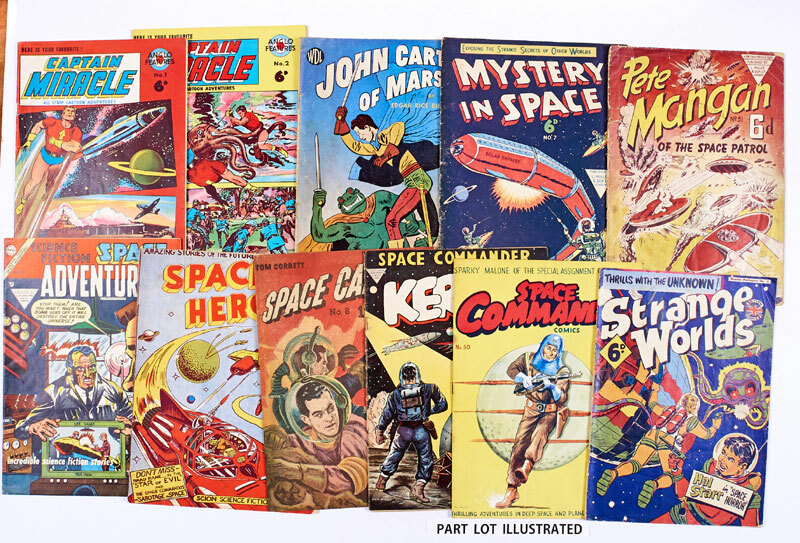 A great selection of ‘Space Ace’ issues battled here to £185. Daphne Broon does neighbour, Big Alec, a favour by keeping his steak pie warm in the oven for later. Granpaw and the boys come home early and tuck into ‘their’ steak dinner. Then Big Alec comes back to an empty dish – Granmaw then has to give him her grocery shopping meaning that Granpaw has to pay 38/6d fer a guid ‘knife an’ fork’ tea for the whole family. £500 in today’s money. 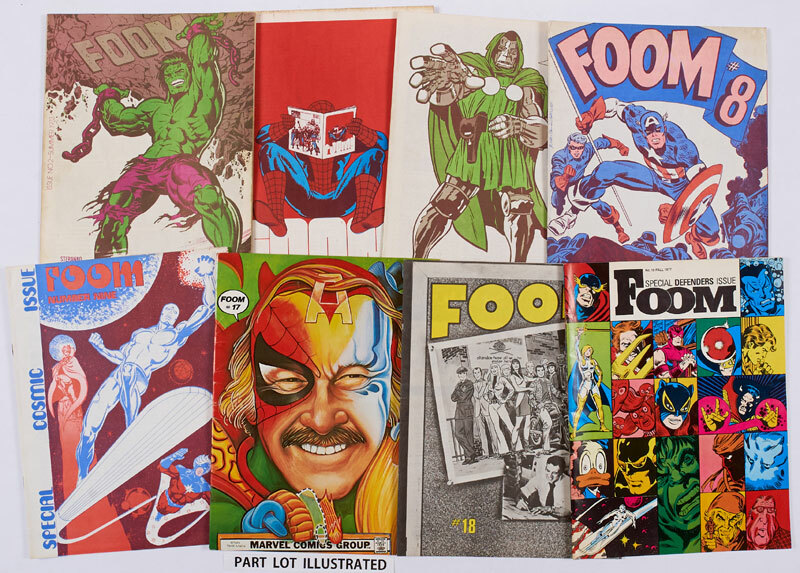 A scarce collection of 10 1970s first issues, all with their free gifts, were taken to a huge £580. 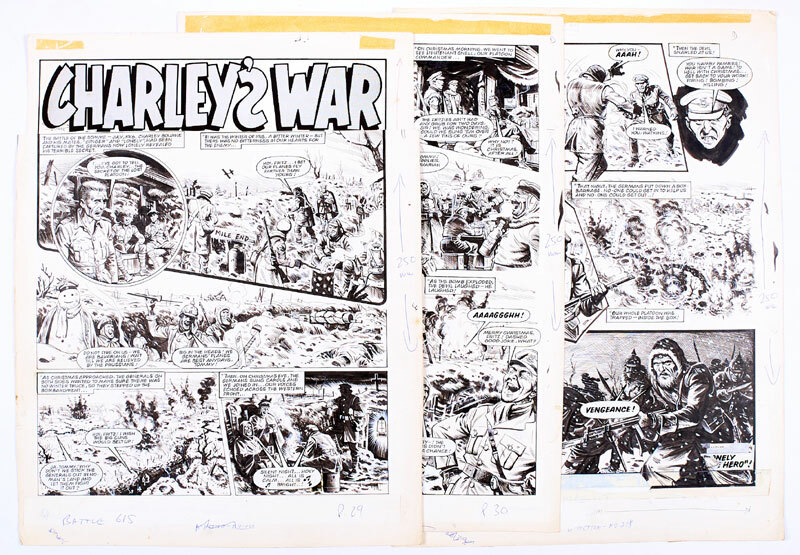 Three original Charley’s War artworks by Joe Colquhoun revealed a terrible secret from the battle of the Somme in July 1916. The centenary of ‘The War to End All Wars’ resonated with our bidders and £2650 spirited these atmospheric pages away. 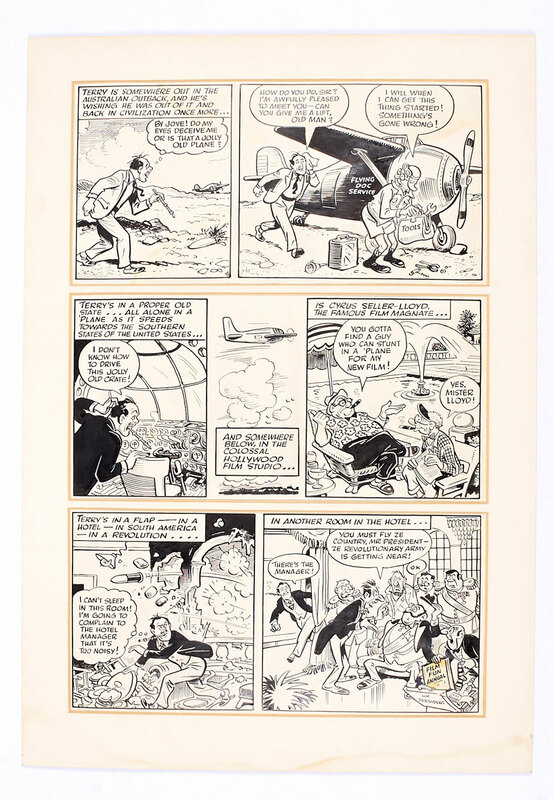 Viz original artwork by Chris Donald featured Tommy ‘banana’ Johnson and Brown Bottle along with a signed issue of Viz 27. A big banana at £560. 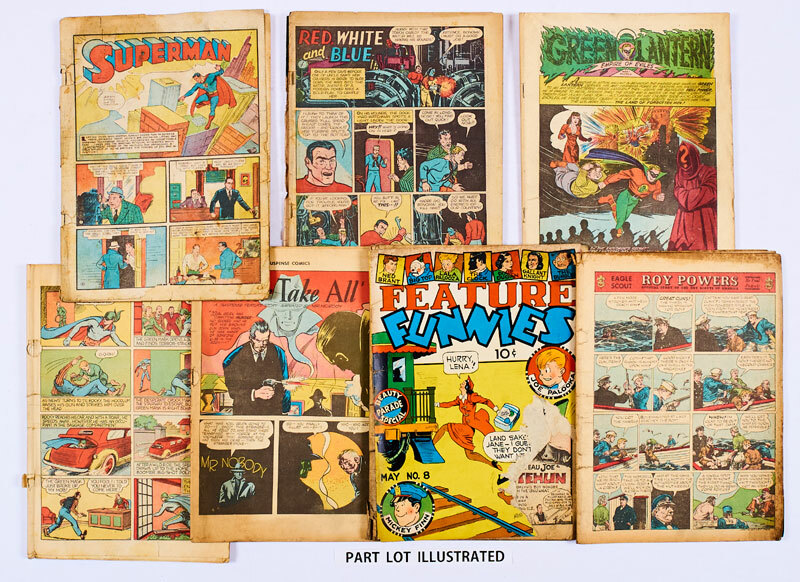 9 coverless issues from 1938 -1944 include the coverless Action #10, All-American #4 and Mystery Men #2. These low grade rarities realised £1120. 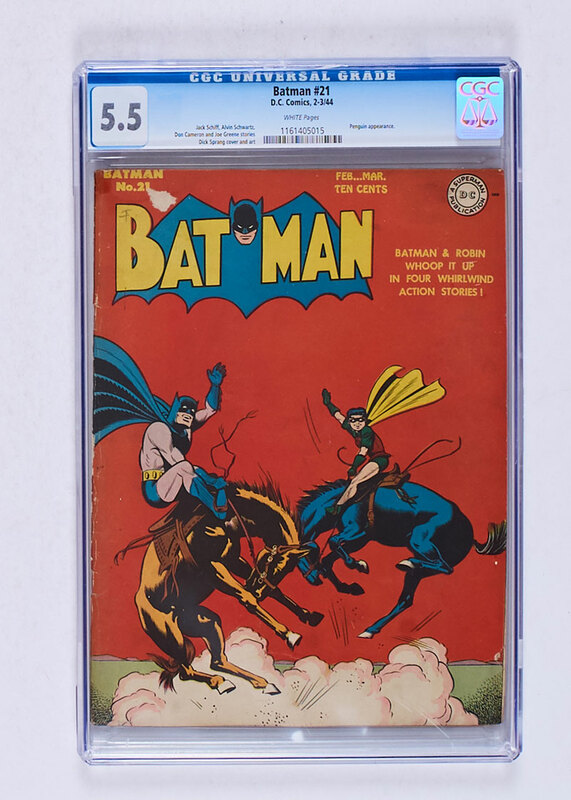 Two CGC’d 1944 issues of the Caped Crusader were sold for £330 and £320 respectively. 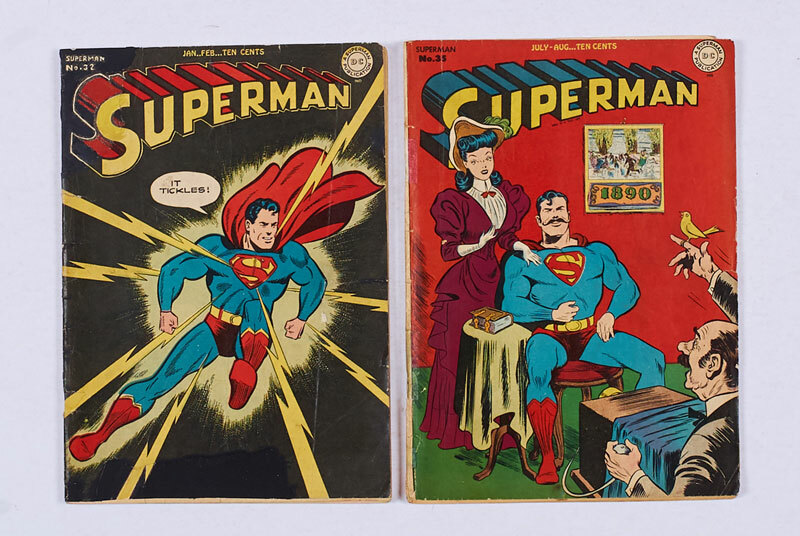 Plenty of amateur restoration on Superman #32 and 35 resulted in £170. 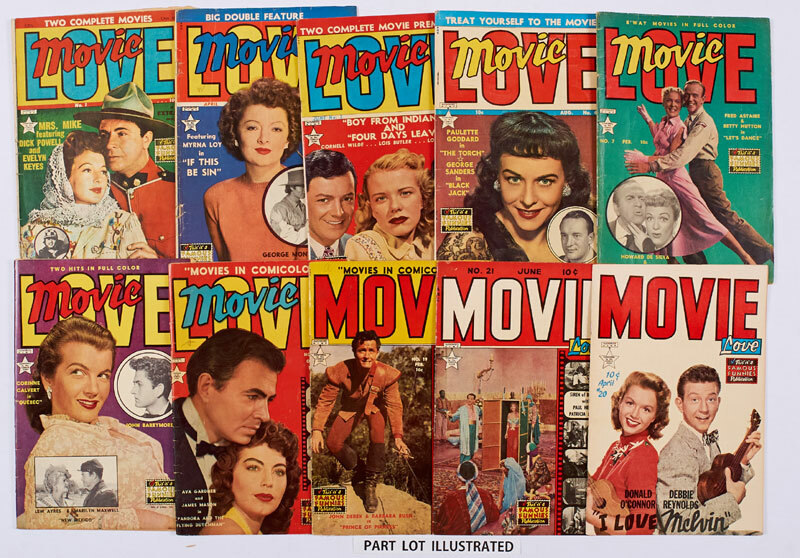 A good run of Movie Love was kissed goodbye with £155. 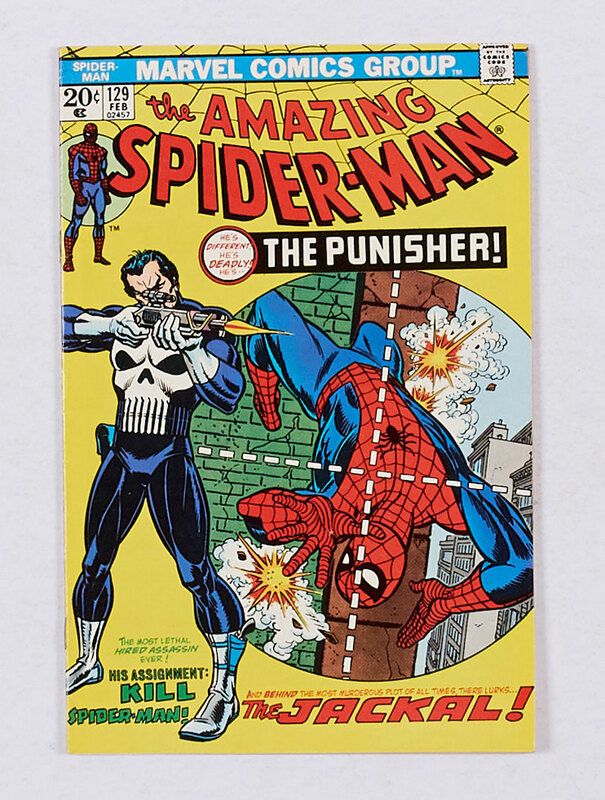 Our cents copy Amazing Spider-Man #1 had clear tape to the spine and Marvel chipping and some cover edge loss. Graded [gd] it realised a whopping £4200. 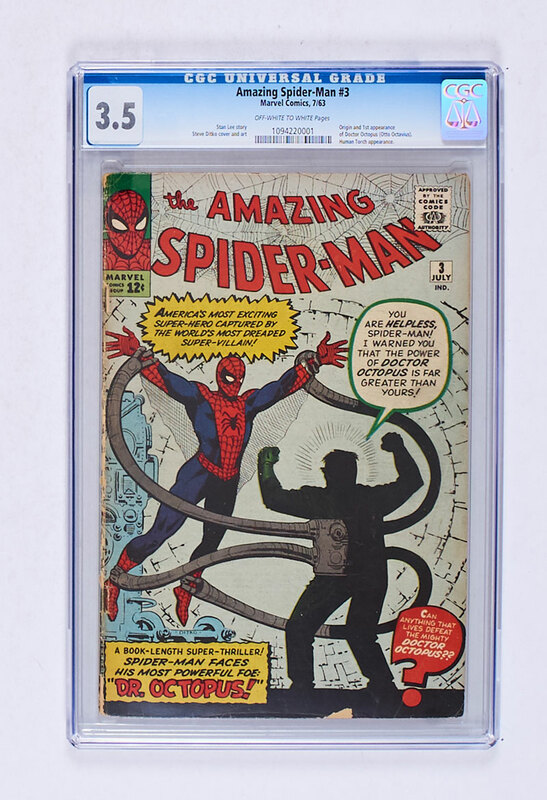 CGC’d at 3.5 this Amazing Spider-Man #3 rose to £760. 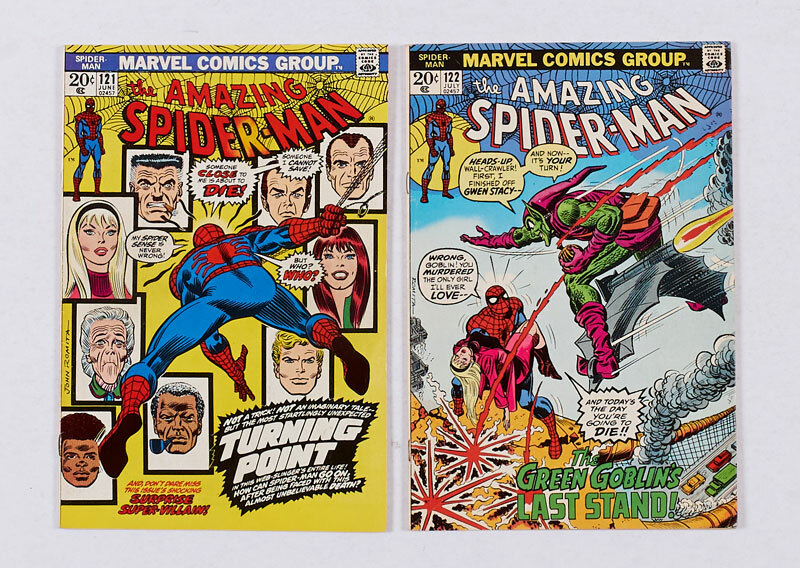 The deaths of Gwen Stacey and Green Goblin were seminal storylines in issues #121 and 122 and they were bid to £300 here. 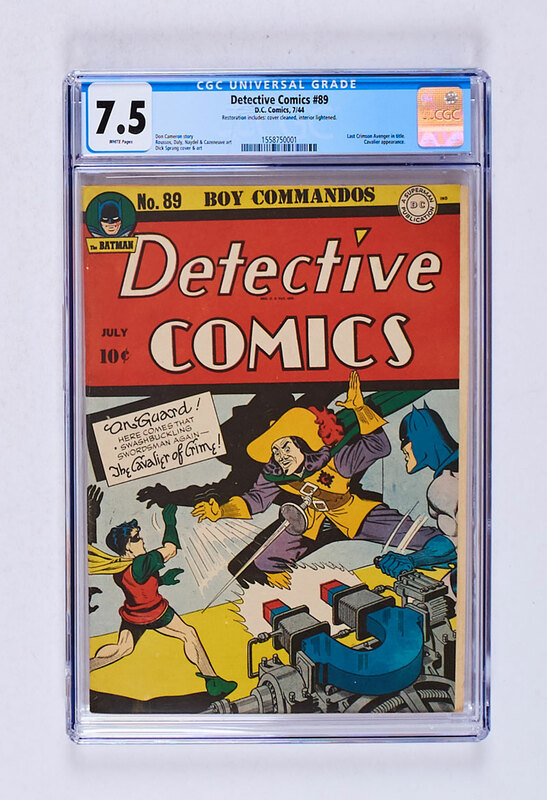 This Punisher cents copy in [fn-vfn] grade did not disappoint at £880. Boom. 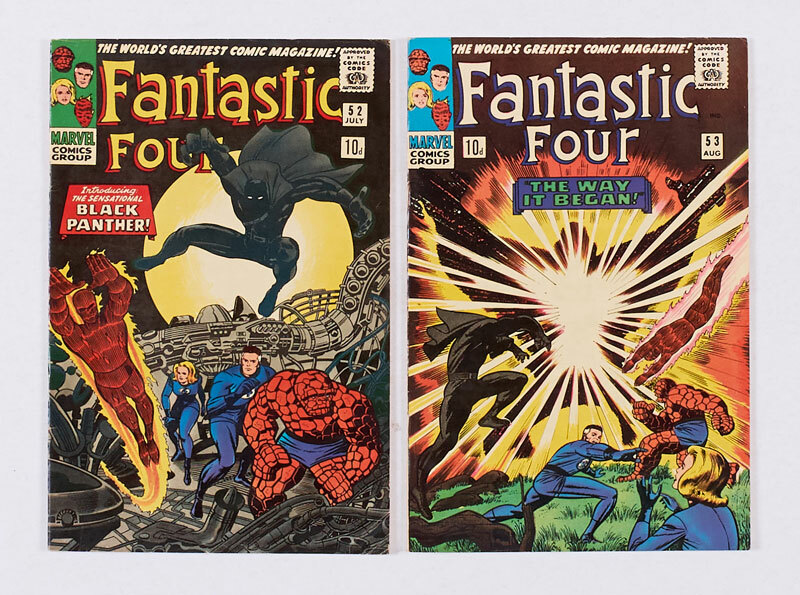 The Fantastic Four first and second Black Panther issues pounced at £500. 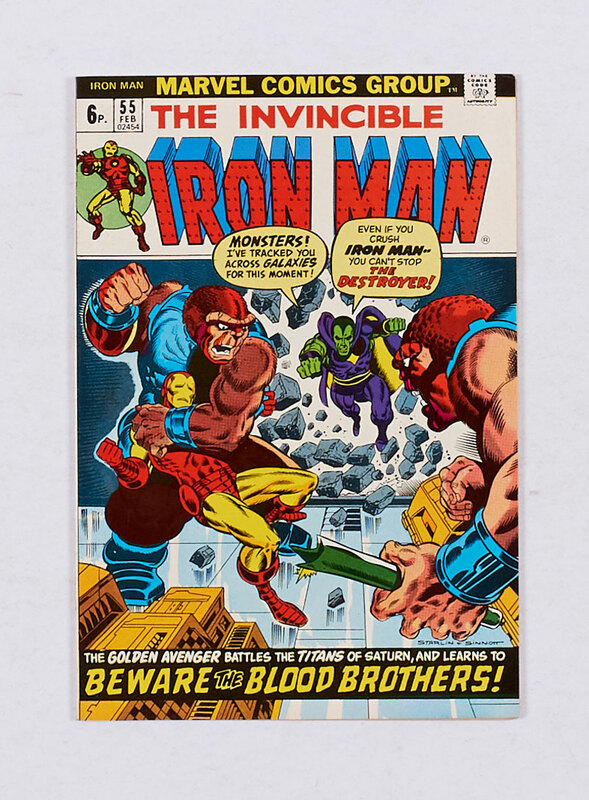 Iron Man #55 pence copy [vfn+] was fair value at £390. 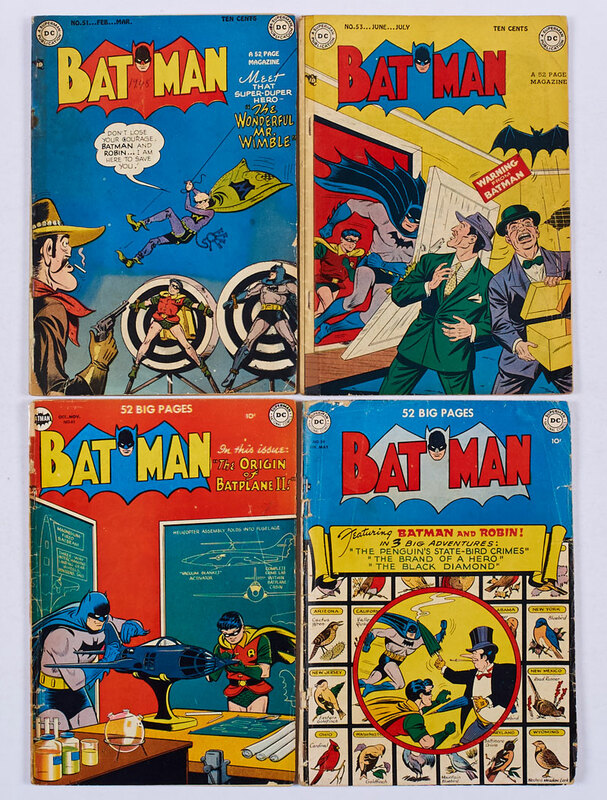 In March 2000 we took delivery of over a thousand US Silver Age comics from a chap called John who lived near Bristol. He had explained to us that his uncle, who lived in America, used to send him the latest super-hero comics as they came out, month by month, title by title. 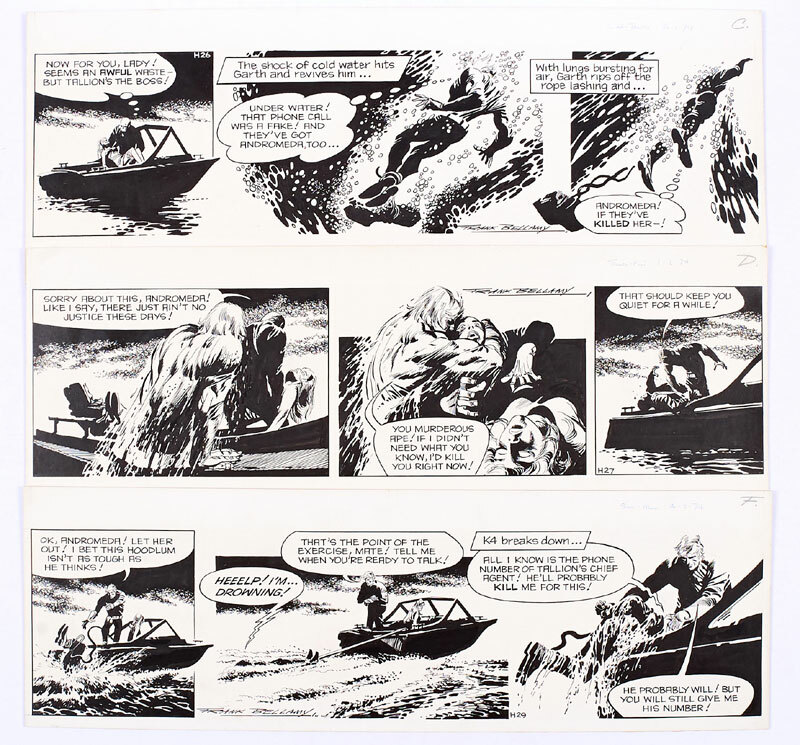 Some of the comics were even accompanied by individual letters about how the characters were to develop and, if successful, graduate to their own titles. If you havn’t already guessed, his uncle in America was a Mr Stanley Lee, president emeritus of Marvel Comics. I then suggested to John that we might give the collection a ‘name’ to benefit from the premium that such a magnificent provenance deserved and the ‘Uncle Stan Collection’ was born, the first signature collection ever offered in the UK. 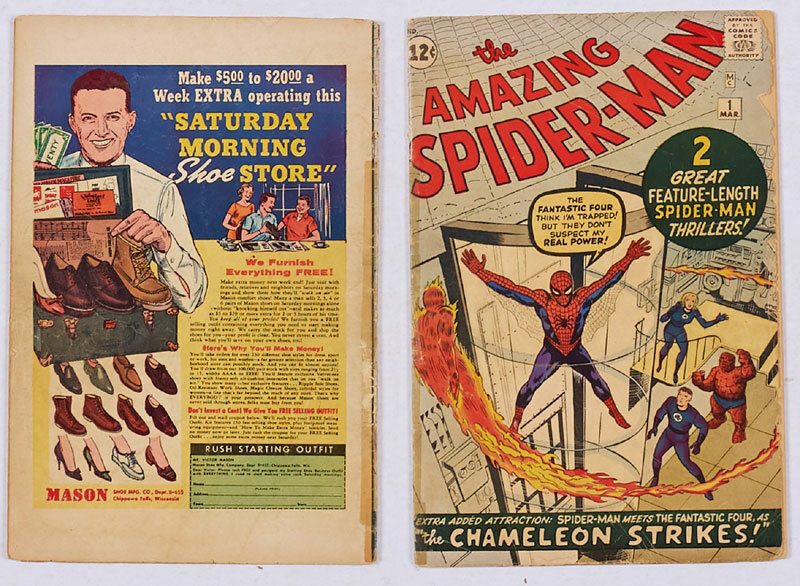 ‘Hi John, of course you can call your collection of comics “The Uncle Stan Collection”, I hope you make a fortune, Excelsior! PS. My attorney will call you later to discuss my percentage.